Castle Biosciences, Inc., a provider of molecular diagnostics to improve cancer treatment decisions, today announced the appointment of Federico A. Monzon, M.D., FCAP, to the newly created role of Chief Medical Officer. The Company also announced the appointment of Greg Schafer to Executive Director of Managed Care. Dr. Monzon is a molecular pathologist with extensive experience translating novel genomic technologies into clinical molecular tests. Most recently, he served as Medical Director of Oncology and Medical Director of Latin America at Invitae Corporation, a provider of genetic diagnostics for hereditary disorders. Previously, Dr. Monzon served in several successive roles at Baylor College of Medicine, including Director of Pathology at its Cancer Genetics Laboratory. Earlier in his career, he led studies at the University of Pittsburgh on prostate and renal cancer genomics as well as the validation of one of the first gene expression clinical assays for the diagnosis of tumors of unknown origin. He earned his M.D. from the Universidad Nacional Autónoma de México, and is board-certified by the American Board of Pathology in anatomic, clinical and molecular genetic pathology. Dr. Monzon is the 2016 President-Elect of the Association for Molecular Pathology. In addition to this appointment, the Company welcomed Greg Schafer as Executive Director of Managed Care. Mr. Schafer has a strong background in managed care, sales and marketing, most recently serving as Head of Managed Care at Invitae Corporation, where he developed reimbursement and claims appeal strategy and increased in-network contracted providers. Previously, Greg served as Director of Strategic Markets and Associate Director of Managed Care at Genomic Health Inc., where he led managed care, field strategy and sales initiatives for the company’s oncology tests. Earlier in his career, Greg was Business Relations Manager at Biogen Inc., and held sales management roles at Novartis and Zeneca Pharmaceuticals. He graduated with honors from the University of Missouri with a B.S. in Agricultural Economics. Castle Biosciences is a molecular diagnostics company dedicated to helping patients and their physicians make the best possible decisions about their treatment and follow-up care based on the individual molecular signature of their tumor. The Company currently offers tests for patients with uveal melanoma (DecisionDx-UM), cutaneous melanoma (DecisionDx-Melanoma) and esophageal cancer (DecisionDx-EC), among others. 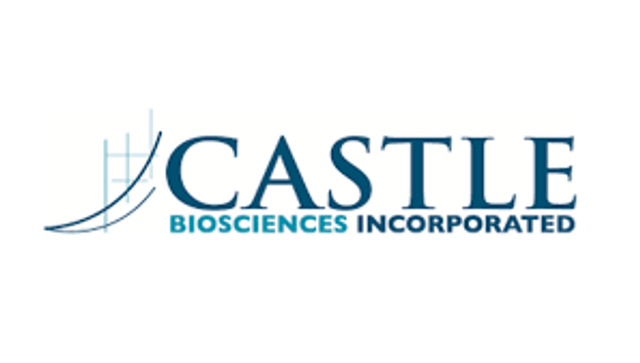 Castle Biosciences is based in Friendswood, TX (Houston), and has laboratory operations in Phoenix, AZ. More information can be found at www.castlebiosciences.com. DecisionDx-UM, DecisionDx-Melanoma and DecisionDx-EC are the trademarks of Castle Biosciences, Inc. Any other trademarks are the property of their respective owners.